Dr Tamara Young is a Senior Lecturer and Researcher in the Newcastle Business School. Her research is in the multidisciplinary field of tourism studies, with a particular emphasis on critical tourism theory and cultural research methodologies. Her research activities and interests are focused on the role of tourism media as an interface between traveller cultures and travelled cultures; the social and cultural aspects of travel and tourism (especially youth and backpacker tourism); the representation and interpretation of Aboriginal Australia in the context of tourism; and Indigenous tourism, cultural landscapes (in particular, the Uluru-Kata Tjuta National Park) and culturally sustainable tourism in Australia. Tamara also conducts research on the Indigenisation of curriculum in Business and Law education. She has co-authored a book entitled Tourist Cultures: Identity, Place and the Traveller (Wearing, Stevenson and Young, 2010), and her research has also been published in book chapters and international journals. 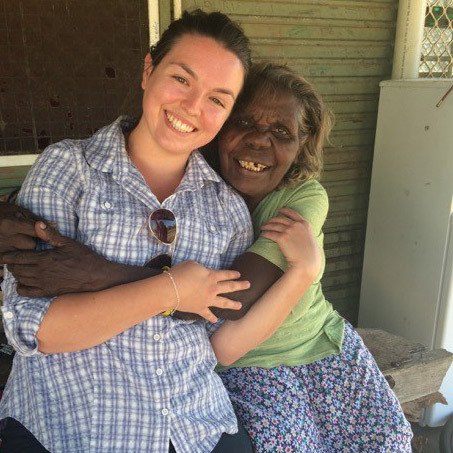 Tamara has gained funding for a number of projects in her areas of research leadership. She is the chief investigator on an industry-funded project on destination image and identity titled Newcastle City Council Visiting Friends and Relatives Study. She is the co-chief investigator on the Higher Education Participation and Partnerships Program (HEPPP) funded project Improving Indigenous Participation, Retention and Success in Business-Related Higher Education, and she is a member of the research team for another HEPPP funded project Mentoring Women from Regional Australia to realise their Educational and Career Aspirations in Business and Law. Each of these projects build on Dr Young's expertise as an industry engaged researcher committed to enhancing local and regional tourism capabilities, as well as her leadership as an educator in tourism and business. Tamara is a multi-award winning academic. In 2016 she was awarded a Council of Australasian Universities Tourism and Hospitality Education (CAUTHE) Fellows Commendation for Significant Contribution to Tourism Education and Research. In 2015 she received a national Office for Learning and Teaching Citation for Outstanding Contribution to Student Learning. Tamara has also received the Vice-Chancellors Award for Teaching Excellence and Contribution to Student Learning (Faculty of Business and Law) in 2014, the Vice-Chancellor’s Award for Supervision Excellence (Business and Law) in 2013, and the Vice-Chancellor’s Award for Research Excellence (Business and Law) in 2010. Tamara is on the Executive Committee of the Tourism Education Futures Initiative (TEFI) and the Council of Australasian Tourism and Hospitality Education (CAUTHE). She is Convenor of the 28th Annual CAUTHE conference being held in Newcastle in February 2018. Tamara is the Newcastle Business School Indigenous Student Liaison Officer and the Business and Law representative on the UoN Indigenisation of Curriculum Committee. She is involved in the Empower Mentoring Program following her role as the Academic Director of the Lucy Mentoring Program and was the Head of the Tourism Discipline (2010, 2014-2016). Tamara has also held various roles external to the University, including, Director of Education Research and Training on the Tourism Hunter Board of Management (2010 to 2014); Director of the Newcastle Chapter of the Council of Australasian Tourism and Hospitality Education (2014 to present), and Academic Board Member for the Management Institute of Australia (2014 to present). She has also been a Submissions Judge for the Hunter/Central Coast Tourism Awards since 2009 and the Chair of Judges since 2013. Tamara's research on tourism curriculum, in particular the Indigenisation of Curriculum, is nationally and internationally recognised. She is currently guest editor of a special issue on Critical Perspectives in Education in the international Journal of Hospitality, Sport, Leisure and Tourism Education and she has a chapter in the 2017 book International Handbook of Tourism Education. Tourist Cultures and Traveller Identities: I have conducted extensive qualitative research into youth travel in Australia, with my research focus on the interactions of young adults with travelled cultures, and the significance of these experiences for informal education and lifelong learning. My current research examines the intersection between social media and backpacker travel experiences. In particular, my research is focused on the ways in which social networking sites are used in the mediation of travel experiences, and the shaping of traveller identities and travel communities.This project forms the basis for continuing research into the role and significance of travel and travel communities in the lives of young people. Following my success in gaining government funding for short term mobility programs, my research in this area now also includes the role and significance of educational travel and the mediation of global citizenship. Indigenous Cultural Tourism: My PhD in Social Science (Leisure and Tourism Studies) focused on representations of Aboriginal Australia in tourism media and backpacker experiences of Indigenous cultures and Indigenous cultural landscapes. My thesis examined the representation and interpretation of Aboriginal Australia in the context of tourism, and the relationships between travel media (guidebooks), travellers (backpackers) and travelled cultures (Aboriginal Australia). My thesis engaged textual and content analysis coupled with audience research to examine the ways in which traveller experiences of Aboriginal Australia are mediated and constructed, and the ways that Indigenous cultural knowledges are shaped, framed and experienced. Indigenisation of Tourism Curriculum: My research engages with the Indigenous collaboration initiatives and objectives of the University of Newcastle. This project, in partnership with Dr Amy Maguire in the Newcastle Law School, focuses on the incorporation of Indigenous-related content and perspectives in Business and Law education, to promote curricular justice for Indigenous students and meet the wider responsibility of educating all students for equity, social justice and anti-racism. I was recently successful in securing a HEPPP grant for a project aimed at increasing Indigenous participation, retention and success in business related higher education. Tourism Industry Collaboration: I am an industry-engaged researcher and have worked in collaboration with tourism associations in the Hunter Region to develop and conduct research that supports the knowledge needs of the regional tourism industry. These collaborations have led to a number of industry-funded projects including the Newcastle City Council Visiting Friends and Relatives Study, The Hunter Valley Wine Country Tourism Research Monitory and the Identifying the Training and Research Needs of Tourism Operators in the Hunter Region. I have substantial teaching experience having taught in a range of undergraduate courses in the areas of tourism and leisure studies, and media and cultural studies since 1999. I teach: TOUR2003 Global Tourism Management, TOUR2001 Tourism and Cultural Heritage, TOUR3003 Tourism Marketing, and TOUR4000 Theory in Tourism Other courses I have taught include: Event Management; Visitor Management; Critical Perspectives in Leisure; Leisure, Society and Contemporary Culture; Leisure Management; Media, Culture and Society; Popular Culture and Society. I am a passionate educator committed to delivering research informed and industry relevant curriculum. I have received national recognition for outstanding teaching and learning in tourism, including the CAUTHE Fellows Commendation for Significant Contribution to Tourism Education and Research (2016), a national Office for Learning and Teaching Citation for Outstanding Contribution to Student Learning (2015), and a Vice-Chancellors Award for Teaching Excellence and Contribution to Student Learning (2014). This project explores the justifications for, and methods of, 'Indigenising' higher education curricula. The collaborators are concerned with the incorporation of Indigenous-related content, and Indigenous perspectives and law in university teaching and learning. In a melding of linguistics and sustainable tourism new avenues have been found for digital technologies to conserve Indigenous culture and promote tourism.